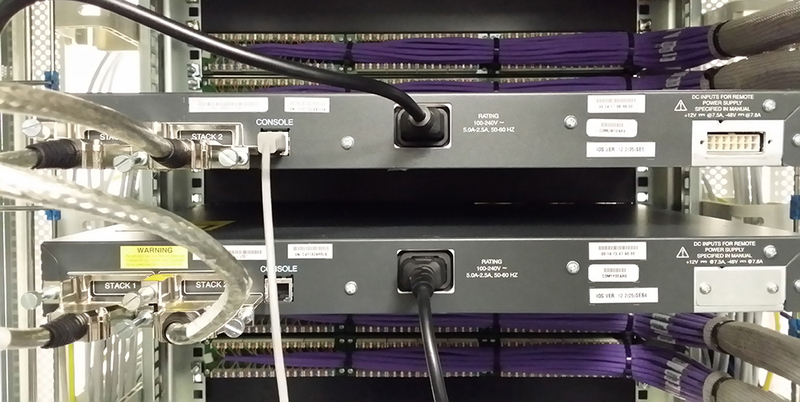 The following procedure was carried out on two Cisco Catalyst 3750 switches. 1. We can see (above) that we have two switches, but if your connected remotely, best make sure. 2. Lets see what IOS files are in the flash memory on both switches. 3. Well there’s only one IOS file in there but let’s make sure anyway, by seeing what version is loaded. 4. Lets delete the IOS file from flash1, and make sure it’s gone. 5. Now I’ve setup my TFTP server and downloaded the new IOS file. I need to copy it into the flash1 memory. Loading c3750-ipservicesk9-mz.122-55.SE9.bin from 192.168.1.38 (via Vlan1): !!!!!!!!!!!!!!!!!!! 6. Repeat the process of deleting the IOS, and copying the new one onto flash2. It will remember your answers from earlier so just hit enter. Loading c3750-ipservicesk9-mz.122-55.SE9.bin from 192.168.1.38 (via Vlan1): !!!!!!!!!!!!!!!!!! 7. Now let’s make sure the new file is in both switches flash memory. 8. Even though it’s been deleted, the boot variable will be set to the OLD version of the IOS, to demonstrate issue the following command. 9. So change the boot variable to the new one, and check again. 10. Save the changes, and reload the switch. 11. Post reboot, log in and check that the stack is running the new code. System image file is "flash:c3750-ipservicesk9-mz.122-55.SE9.bin"